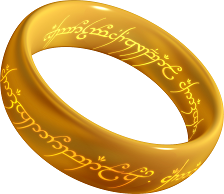 This exercise does not fall under the “one ring to rule them all” category, and it depends on your objectives, goals and web site’s purpose. The example I will use is for heavily acquisition web sites, in which most pages’ purpose is to convert people by signing up to different software products or purchase something. For our example, I will use a software company that offers two different products – a demo sign up and a subscription based sign up. 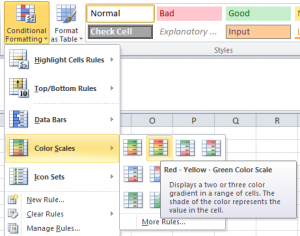 For this analysis to work you will need to create three calculated metrics. We will name them “Entrance %” and “2nd Level Pages” and “2nd Level Pages %“. As you can see from the calculation above the 2nd Level pages are “all page views” of that particular page, excluding all Entrances. Now a bit of explanation in what you see. The higher the 2nd level pages % are, the more people visit that page as a secondary page, after landing to your web site via a different page (landing page). Landing page pageviews are shown via the Entrance %, while Exit % is how many people exited that page. note:The sum of Entrance % and 2nd level pages % should always be 100% (just in case you want to be sure). What you need to do now is try to visualize how your visitors flow through your web pages. You are looking at find pages with a small Entrance %, a high 2nd Level page %, a small %exit and a high page value. Why the Page Value Metric? According to Google, Page Value is the average value for a page that a user visited before landing on the goal page or completing an Ecommerce transaction (or both). This value is intended to give you an idea of which page in your site contributed more to your site’s revenue. This metric should be used only for acquisition analysis as some pages such as the “contact us” page will most probably have the lowest page value but is still important to your visitors. From experience basket pages and step 1-2-3 pages (as part of a 3-4 pages application form) tend to have a high page value (unless your funnel is under performing or broken) since they get guaranteed page views when a conversion happens. 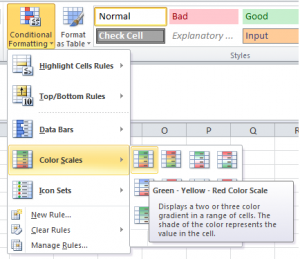 You are advised to remove them from the mix when you are trying to calculate each page’s % as these pages will mess up with Excel’s conditional formatting (I will get to that in a second). Now back to your second level pages. Go to your excel sheet and add Conditional formation on your 2nd Level pages % with Green been the highest and red the lowers. We notice that four of our pages have a high % of second level pages. That means that these pages are accessed after a visitors lands on our web site through a different page/landing page. The lowest the number is (red cell) the more this page is a first touch point (possibly a landing page). Highlight with yellow the pages that are green, in our case the two product pages and the two demo pages. What you are trying now to see is the % of exits as well as page value. We use the exit rate since these are secondary pages thus bounce rate is out of the mix. You are looking for high page value in correlation with high % of 2nd level pages or high 2nd level page % with low page value for optimisation opportunities. Demo Page is a page that people reach after landing on your web site via a different landing page (low % of 2nd level pages), encouraging people to move on to another page (low % Exit) but do not deliver as many conversions as your Demo page one (low Page value). 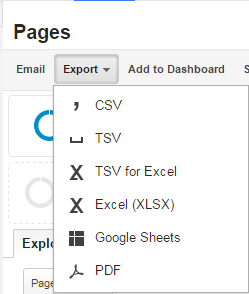 We have now identified a pages with optimisation opportunities. This page has the perfect user path (low entrances, very high 2nd level pages % and very low % of Exit) however a very low Page value (£5.91) meaning that users who follow this path do not convert as much as users who follow the Demo Page 1 path. You might want to check what happens after the users leave from your demo page and go to the next page in order to identify what the problem is. Maybe they are disrupted by the next page or maybe your page is not properly optimised for certain devices. Identifying what really happens can be a great potential to increase conversions and revenue. If you look at Demo Page one, it has the highest page value of all our four pages, meaning that it is a big contributor to your conversion rates. Investigate which channels bring traffic as 27% of the users land directly to that page. Do your standard segmentation (Country, City, Device, Browser, etc) and if for example it is via a particular Adgroup then it might be worth exploring which keywords bring traffic further bidding optimisation or even SEO investment. While segmenting pay attention to your Exit % rate as this will help you prioritize your optimisation hypothesis. The ideal scenario is to have onclick events to all your navigation elements and call to action buttons in order to execute further analysis and add element participation to the mix. You can do the above exercise in Adobe site catalyst as well by creating the same calculated metrics as well.